Sunday, July 26 5pm EST. 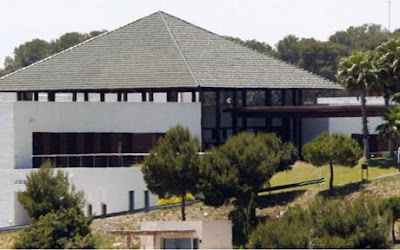 The Bilderberg Group is meeting in Spain this weekend. Iain Hollingshead tries to sort out fact from conspiracy theory. I have just discovered that a shadowy cabal of global luminaries, including Henry Kissinger, David Rockefeller, Prince Charles, Peter Mandelson, Lord Carrington, David Cameron, Queen Beatrix of Holland and the chairman of Barclays Bank, have been plotting to overthrow national governments and form a fascist one-world empire. In India, inability to prove one's identity has been one of the biggest barriers preventing the poor from accessing benefits and subsidies. However, the public as well as private sector agencies' service model is based on determination of individual identity. But till date, despite several attempts like the PDS Ration Card and the Election ID Card, there remains no nationally accepted and verified identity number that residents and agencies can use with ease and confidence. In June the Iraq Inquiry issued an open invitation to international lawyers to give their analysis of the arguments relied upon by the UK Government as the legal basis for the military intervention in Iraq. The Inquiry decided to issue an open invitation, rather than writing to individual international lawyers, to avoid the risk that we might inadvertently fail to write to particular individuals, or the perception that we had focused on people who were thought to hold a particular view. A number of international lawyers have already responded. Others have indicated that they would like to respond, but need a little more time to do so. We are therefore extending the deadline for submissions until 13 September. A copy of the invitation originally circulated via the mailing list of the Oxford University Public Law Discussion Group, and published on the website of the British Institute of International and Comparative Law.